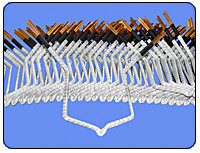 Our Armature coils excel above all others. Each coil is hand-crafted with attention to the finest details and precisely formed to final dimensions based on over 100 years of experience, accumulated winding data, patterns, & tooling. Re-enforcing insulation is carefully applied to all potential electrical and mechanical stress points, and each armature coil is tested and inspected prior to shipment. Our extensive library of winding data includes designs for over 20,000 different machines of all types, with ratings from 1 HP through 30,000 HP. We manufacture all Sure-Fit armature coils according to our tailor made patterns at our plant, so winding goes faster at yours. No need for you to spend hours shaping and adjusting coils to your armatures, because pitch and dimensions are exact the minute they arrive. 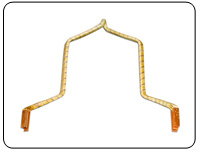 Sure-fit coils fit your armatures, even if the data sheet you send us is incomplete. 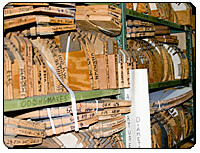 We manufacture armature coils based on a computerized library of thousands of original drawings and on over a century of experience. Your armature rewinds last of years. 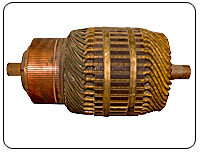 We custom design coil insulation to suit your motor application and available slot space. You get the best fit, dielectric properties and mechanical strength available with today’s upgraded insulation standards. 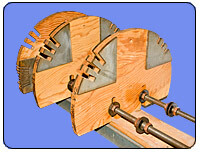 We make Sure-Fit coils as fast as you need them and meet your delivery schedules. 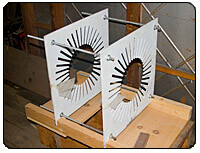 If you would like more information on our armature coils please call 1-800-792-6457 or click here to contact us.